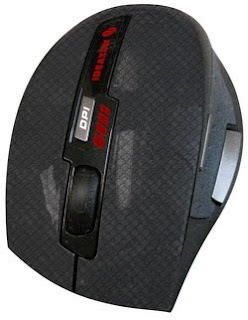 Rude Gameware Fierce mouse similar to a line that "rhymes with laser"
"The Fierce RUDE-200 Laser Gaming Mouse keeps it simple. We took a superb form-factor, slapped on uber-comfortable, non-slip grips and ultra-slick pads, and then packed the Fierce RUDE-200 Laser Gaming Mouse with the most important features and highest quality components; real-time adjustable DPI, a top-notch laser sensor with full-speed USB response time, adjustable weights and the other stuff that gamers like you really need. Nothing crazy, just a really great mouse at a really great price." "After all my testing I can truly say that I would not swap my Wolf Claw Devour Gaming Pad with any other now or in the near future. 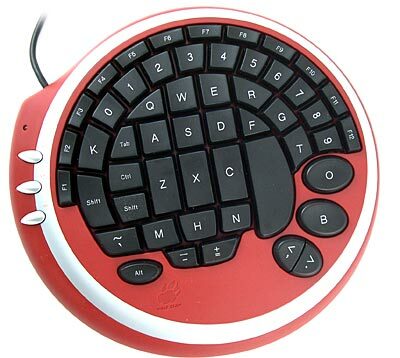 The keys are really responsive and I prefer the style and functionality quality of the whole design. Not only is this device Light and easy to carry around, once used to it your game slightly improves. The main problem not having a keyboard to type, but i believe this is the best GamingPad/Keyboard I have ever used and is the most comfortable. If I was really desperate to type I would even go as far as using one of these and a regular keyboard. Even though it defeats the point I found the Devour to be the perfect gaming keyboard. 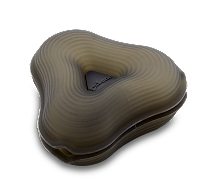 If you are after a Gamers Pad/Keyboard I would defiantly give this a shot not only does it look good with its radical sleek design it works Xtremely well (excuse the pun) my number one choice of gaming Pad." 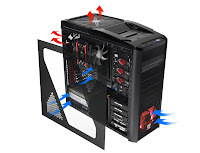 "Thermaltake's Frio overall is an excellent cooler. The price is well within reason even for someone on a tight budget. 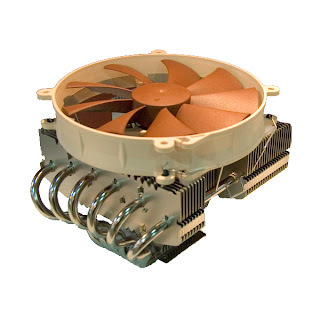 It includes mounting hardware for use on any modern CPU socket including both AMD and Intel. With its unique new design coupled with five massive 8 mm heatpipes and two high CFM 120 mm fans the Frio performs just as good as it looks. As with past offerings from Thermaltake, both fans have separate speed adjustment knobs for fine tuning a balance between performance and noise levels to cater to any user's liking... Thermaltakes Frio has surpassed my expectations. It performs on par with similar coolers from other manufacturers and beats many of them in my testing. If you are looking for an excellent performing cooler with looks to match, Frio is one to consider." Get some timeless class with the iPhone Leather from Bone Collection, the ultimate in style and protection for Apple's iPhone4, the newest, most useful gadget around. 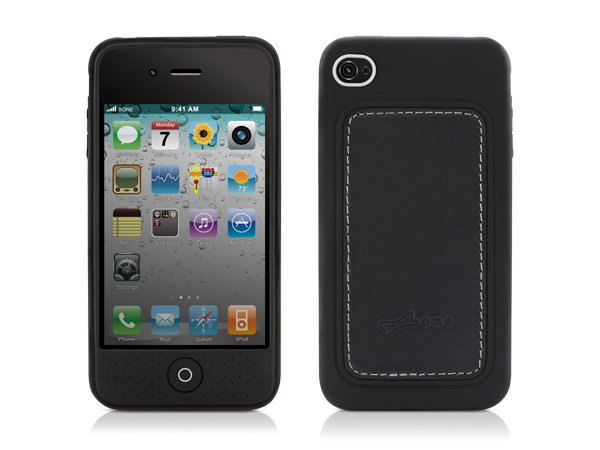 Not only does the iPhone4 Leather's attractive design catch eyes where ever you carry your phone from the bus stop to the board room, this cover is also highly practical, protecting your favourite digital device from dust, grime, bumps and scrapes. This colour matched two part protective skin is contoured to the surface of the iPhone and features a top and side cover made from durable soft silicone, both washable and 100% bio degradable, ensuring this skin is easy to clean and keep looking at its best. The bottom of this skin is genuine leather, giving both stylish looks and the feel which only real leather provides. With dimensions of 118x62x13mm and a weight of 23.2g, this attractive cover will not add bulk to your iPhone4, it only adds a protective function, style & class! 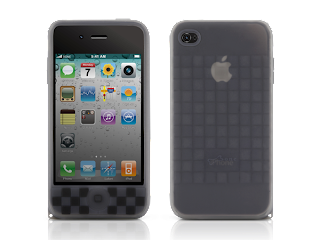 Give the hottest mobile device around some colour and individuality with the Phone Bubble 4 from Bone Collection, the latest in style and protection for Apple's iPhone4, the newest, most useful gadget around. Not only does the Phone Bubble 4's attractive design stand out from the crowd where ever you carry your phone from the bus stop to the board room, this cover is also highly practical, protecting your favourite digital device from dust, grime, bumps and scrapes. This bump resistive protective slick is contoured to the surface of the phone and made from durable soft silicone, both washable and 100% bio degradable, ensuring this skin is easy to clean and keep looking at its best. With dimensions of 66x123x16mm and a weight of 22g, this cover will not add bulk to your iPhone4, it only adds an attractive and protective bump resistant silicone layer and a gentle strap to further personalise the look and feel of your favourite phone. 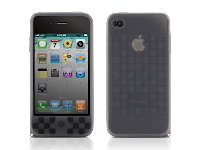 Add some colour, texture and individuality with the Phone Cube 4 from Bone Collection, the latest in style and all around (for screen, back and sides) protection for Apple's iPhone4, the newest, most useful gadget around. Not only does the Phone Cube 4's attractive design stand out from the crowd where ever you carry your iPhone from the bus stop to the board room, this cover is also highly practical, protecting your favourite digital device from dust, grime, bumps and scrapes. This bump resistive protective slick is contoured to the surface of the phone and made from durable soft silicone, both washable and 100% bio degradable, ensuring this skin is easy to clean and keep looking at its best. With dimensions of 62x118x13mm and a weight of 16.6g, this cover will not add bulk to your iPhone4, it only adds an attractive and protective bump resistant silicone layer, a screen protector and a gentle strap to further personalise the look and feel of your favourite phone. If we had to choose just one of these stands to recommend to all of our readers, it would be the H4 iPad Holder, due more to its overall combination of versatility, polish, and pricing* than its looks. H4 is the sequel to H1-Touch, a physically smaller but functionally identical version sold for iPod touch- and iPhone-sized devices, and has the same advantages: an iPad-matching aluminum base with a cable managing slot, and a rotating, pivoting cradle with expanding rubber-tipped metal arms that can hold a bare or encased iPad as firmly as you prefer. Like the other two stands, it feels solid and sturdy even without an iPad resting in its cradle; but unlike Griffin’s A-Frame, all of its edges are polished to prevent iPad or finger damage. LUXA2, a division of Thermaltake is virtually ready to embrace the Apple iPad with its new universal e-book holder – the LUXA2 H4. 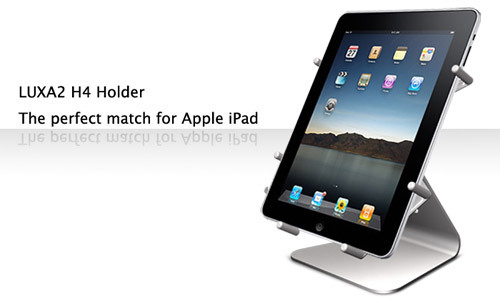 It’s an iPad holder made of solid aluminum with a sleek and chic design tailor-made for the Apple iPad. The LUXA2 H4 holder is the worldwide first holder that best suits the Apple iPad, and it’s scheduled launch date is around March 2010. 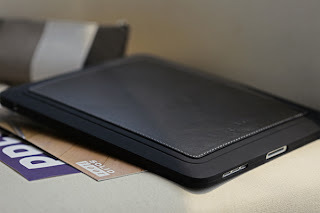 Bone Collection iPad Leather Case The iPad just got hotter! 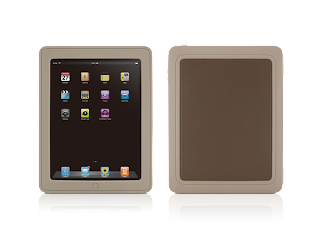 Give the hottest tablet PC around some timeless class with the iPad Leather from Bone Collection, the ultimate in style and protection for Apple's iPad, the newest, sleekest gadget around. Not only does the iPad Leather's attractive design catch eyes where ever you carry your pad from the bus stop to the board room, this cover is also highly practical, protecting your favourite digital device from dust, grime, bumps and scrapes. 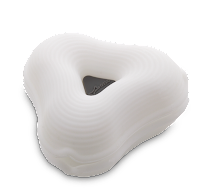 This colour matched two part protective skin is contoured to the surface of the device and features a top and side cover made from durable soft silicone, both washable and 100% bio degradable, ensuring this skin is easy to clean and keep looking at its best. The bottom of this skin is genuine leather, giving both stylish looks and the feel which only real leather provides. With dimensions of 195x248x15mm and a weight of 157.4g, this iPad cover will not add bulk to your tablet, it only adds a protective function, style & some class! NaturalPoint TrackIR & Tom Clancy's H.A.W.X.2 - Get set to takeoff! Sexeh, adrenalin filled, jet fuelled & TrackIR supporting! Take the throttle of over 50 of the world's most famous aircrafts. Dogfight over realistic modern landscapes that have endured years of post-war trauma. With support from NASA and the U.S. Geological Survey (USGS), Tom Clancy's H.A.W.X.2 goes supersonic with its authenticity and breathtaking graphics. 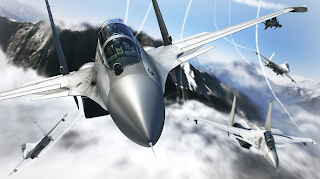 Developed by Ubisoft Bucharest, this game promises to expand the aspects of aerial combat including takeoffs and landings, new weapons, UAVs, air to-air refueling and dogfighting missions. Get Armed! Get Airborne! Get Some! You can check out our awesome range of NaturalPoint TrackIRs here. Should you not have checked out the new H.A.W.X.2 title, you've gotta get the heart pumping with this swish intro video! Whilst we're talkin bout Flight Simming (ok, so we are ALWAYS talking about flight simming, but thats another story! ), don't forget to stop by the quater masters store to see what control options are available for your next sortie! Boom it zoomies!!! 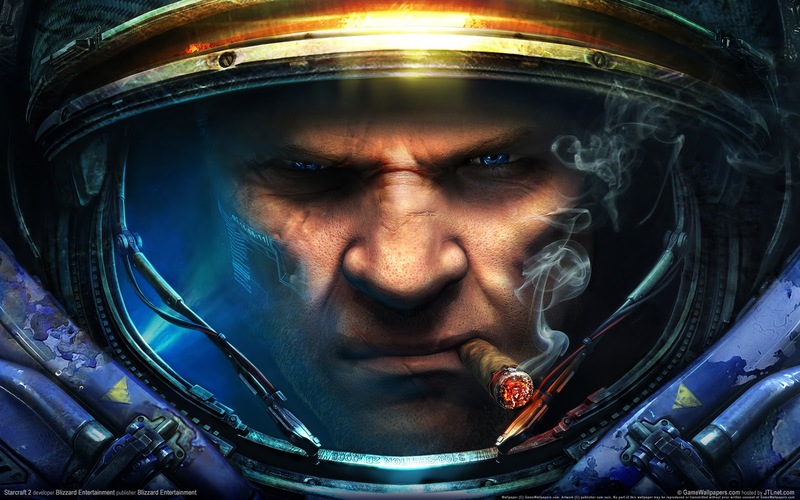 For the last 3 months I have been beta testing Starcraft 2 and I can tell you a lot of people are in for a shock when they try and run Starcraft 2 on their PC. 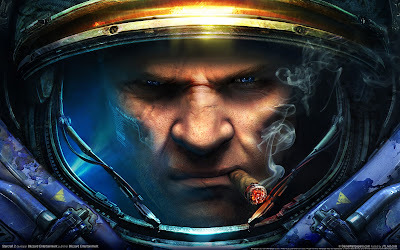 If you try and run Starcraft 2 with only 1 gig of ram you will be in for a Lag fest, you might want to look for at least a 2 gig kit and if you’re running windows Vista or 7 you will want a 4gb kit of ram, I found 2 gig was ok “Just” on the small maps but would freeze up on bigger maps and if your freezing up you will get booted from other players. The Thermaltake M9 system housing has always been a popular mainstream chassis line appealing to gamers, enthusiasts, home users and system builders alike. Should you be a system builder, wanting an included power supply, look no further than the M9 with 430w PSU, which offers excellent overall chassis features. If you build systems and have had issues with the recent move of the PSU mount from the top to the bottom of the chassis (mainly due to cable lengths), then the M9 is FOR THE WIN! One word describes my feelings about the Thermaltake M9 VI1000BWS - fantastic! It performed very well in my tests, looks awesome, and the included 120mm fans manage to push a good amount of air while remaining very quiet. The tool-less drive bays and expansion slot retainers were very well made - I didn’t even break one! From top to bottom, this is my favorite mid tower so far, and its very reasonable price makes it an even more attractive option. The M9 also provides good ventilation; my only disappointment arose from the mediocre CPU and GPU temperature test results - and unfortunately, those numbers are of the highest importance to enthusiasts. Overall, I think Thermaltake's M9 is an attractive case that offers plenty of cool features and solid performance - and I certainly won't be turning it into a wood burning stove anytime soon! NaturalPoint's TrackIR A Must Have For That Head Shot! 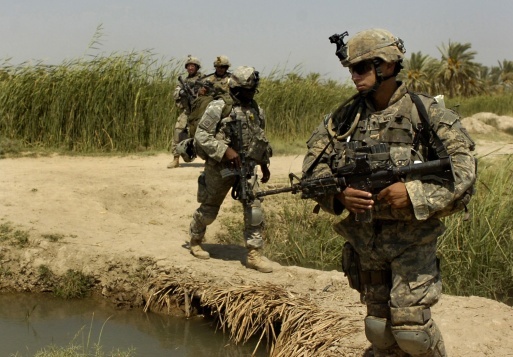 ArmA2: Operation Arrowhead is getting a lot of publicity on the simulation gaming news sites. If you've not come across this title as yet, check out the Allied Forces & Takistan Army introduction videos ( Video 1 , Video 2 )and the awesome community sites ArmaHolic.Com and ArmedAssault.Info - remember it is the community which gives life to a game, not the publishers, and ArmA2 has one of the most active and supportive gaming communities around. New members are always welcome! With the game now available off the shelf in Australia, I'd like to suggest reading Dslyecxi from Shack Tactical's ArmA2 "Tactics, Techniques, and Procedures" guide. If you're not an ArmA series player, this background info is useful for all First Person Shooter type titles where team based gameplay is encouraged, such as the Battlefield series. 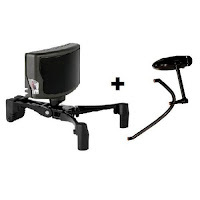 This guide also covers why NaturalPoint's TrackIR is such a "must-have" peripheral for ArmA and Arma2, where he comments "the single greatest thing a player can do to increase their level of situational awareness, as well as general immersion, is via the TrackIR series of head tracking devices." 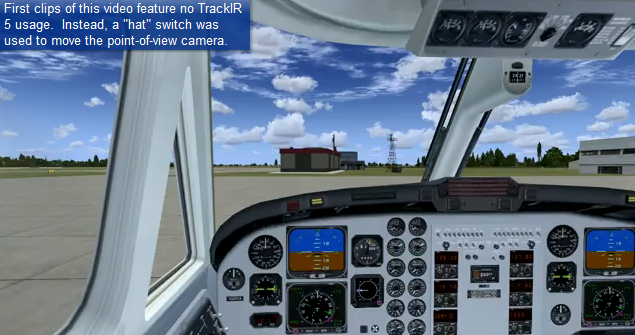 You’ll find the TrackIR information on this page. For being a case that's aimed for mainstream users, I think it fits perfectly into its category. It isn't too flashy, too over the top, or packed too much with features that require a hefty price. It can fit all modern video cards as well as the bigger more powerful power supplies and even has enough room to spare for some water cooling." Mushkin quality and performance at Mainstream pricing. The home or work PC is a big part of our life and it’s amazing how lost people get when something goes wrong with the PC they use every day. The Mushkin Enhanced Silverline Series is ideal for DIY'ers and system builders who know they want high quality and performance, but also need to keep costs under control. Silverline modules are hand-tested and primed for use just like Mushkin celebrated Redline™ and Blackline™ Series, and can come equipped with a silver FrostByte or Stiletto heatsink. If you're wanting quality and a big bang for the buck, your silver lining is in Silverline. Here are the real Ninja Facts! Ninja don't sweat. Ever! They do get naked and wash however. Ninja don’t tolerate dust and grime. Bullets can't kill a Ninja. Even 1 million bullets can not kill a Ninja. The fart of a Ninja is a million times deadlier than the venom of a rattlesnake. With the right wind conditions, a single fart could wipe out a small village. Ninja invented skateboarding. Not even to do tricks, just to kill time in between killing. Ninja change their skins. Not changing their skins is a lie from Hollywood. 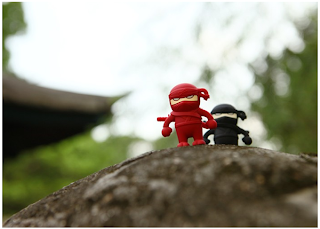 Ninja skins are interchangeable and washable, as Ninja must always look their best. Ninja are loyal to all Windows based operating systems from Win98SE onwards. However, they will also kill for MAC OS 9.0 and above, along with Linux kernel 2.4 or later, just to keep in shape. Ninja can breathe underwater anytime they want, however they remove their internal storage first before diving off cliffs to escape their enemies. Ninja can change complete wardrobes in less than 1 second. Ninja never die young. Dying young is a lie permeated by Pirates. Ninja offer a lifetime of service. Ninja always land on their feet. If they don't have feet they will land on their nubs. Ninja invented the internet. They can now transfer it too…. All 4GB of it. Ninja don't eat or drink very much, and they never have to go to the bathroom… Apart from the daily data dump, and that is only if they’ve had their fibre. Ninja always move to Queensland when making a new start as a non-assassin. Ninja don't play sports. Unless data transferring is a sport. They always win, because they’re fast LIKE A NINJA! Ninja can crush golf balls with 2 fingers, any two fingers. Ninja don't lose data. Ever. Specialising in unorthodox arts of war, the functions of the Ninja include espionage, sabotage, infiltration, as well as reliable, stable data storage and transfers.... Nothing protects your important data like a Ninja! 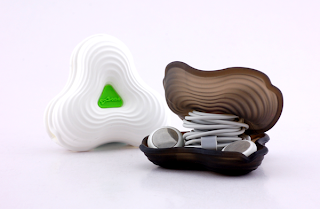 Styled as a tiny warrior, this 4Gb personal storage device is unique, eye catching and very you! This super cool personal digital storage device is the perfect solution for data transfers between the home and office, or the school & uni computer labs and your dormitory or study. 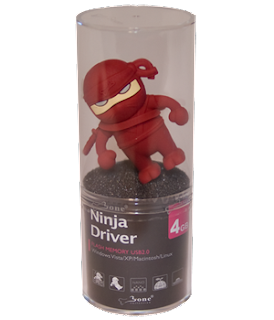 The Ninja USB drive also features tiny magnets in the hands of this master of stealth, so he can approach his target port from any angle unseen. Compatible with all Windows based operating systems from Win98SE onwards, this secretive & silent storage drive is also suitable for MAC OS 9.0 and above, along with Linux kernel 2.4 or later. With a large capacity of four gigabytes, this storage medium has plenty of space for all your work, favourite music and photos with your mates or girlfriend. You'll even fit a movie or two! No external power is required for this device, just plug it into any powered USB slot from USB1 onwards. You'll appreciate the LED indicator for visual confirmation of data access and transfers and you'll get a kick out of the interchangeable Ninja shaped dust proof and washable silicone skin, offering your storage drive excellent protection from the bumps, scratches and knocks so commonly sustained during hand to hand combat! With the Ninja's awesome looks, you'll never pick up the wrong personal digital storage at the end of your work day, IT class, study or photo and music swapping session. 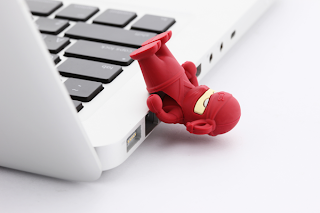 Offering excellent storage capacity and a life time warranty, this USB attached drive is the perfect choice for all your file swapping, transfers and other digital storage requirements – just don’t turn your back on him! 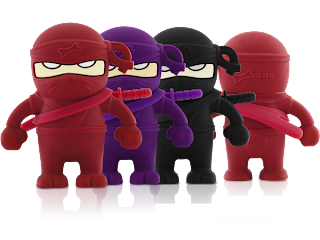 Red Ninja in stock now we are still hunting the others down, Ninja are hard to find! Whooo Whooo,Whooo Whooo, Bone Collection Owl USB Drives thats Who! 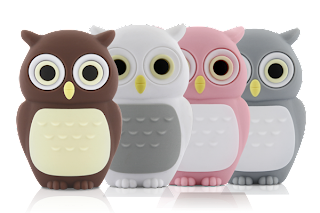 Wherever you take the Owl personal storage drive with you, it makes you smile. This 4Gb personal storage device is unique, eye catching and very you! This USB drive is a fun and practical solution for data transfers between the home and office or the school & uni computer labs and your dormitory or study. Compatible with all Windows based operating systems from Win98SE onwards, this attractive USB flash drive is also suitable for MAC OS 9.0 and above, along with Linux kernel 2.4 or later. With a large capacity of four gigabytes, this personal storage drive has plenty of space for all your work, favourite music and treasured photos with loved ones & best friends.You'll even fit a movie or two! 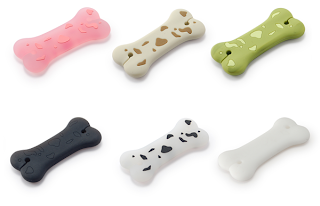 Bone Collection iPhone 4 Cases Are You Ready for Your 4? 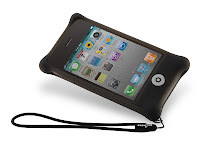 Or some some timeless class with the iPhone Leather from Bone Collection, the ultimate in style and protection for Apple's iPhone4, the newest, most useful gadget around. 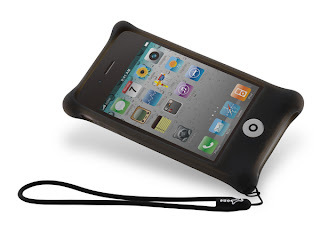 Not only does the iPhone4 Leather's attractive design catch eyes where ever you carry your phone from the bus stop to the board room, this cover is also highly practical, protecting your favourite digital device from dust, grime, bumps and scrapes. This colour matched two part protective skin is contoured to the surface of the iPhone and features a top and side cover made from durable soft silicone, both washable and 100% bio degradable, ensuring this skin is easy to clean and keep looking at its best. The bottom of this skin is genuine leather, giving both stylish looks and the feel which only real leather provides. 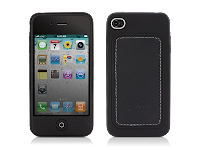 With dimensions of 118x62x13mm and a weight of 23.2g, this attractive cover will not add bulk to your iPhone4, it only adds a protective function, style & class! And some colour, texture and individuality with the Phone Cube 4 from Bone Collection, the latest in style and all around (for screen, back and sides) protection for Apple's iPhone4, the newest, most useful gadget around. Not only does the Phone Cube 4's attractive design stand out from the crowd where ever you carry your iPhone from the bus stop to the board room, this cover is also highly practical, protecting your favourite digital device from dust, grime, bumps and scrapes. This bump resistive protective slick is contoured to the surface of the phone and made from durable soft silicone, both washable and 100% bio degradable, ensuring this skin is easy to clean and keep looking at its best. With dimensions of 62x118x13mm and a weight of 16.6g, this cover will not add bulk to your iPhone4, it only adds an attractive and protective bump resistant silicone layer, a screen protector and a gentle strap to further personalise the look and feel of your favourite phone. 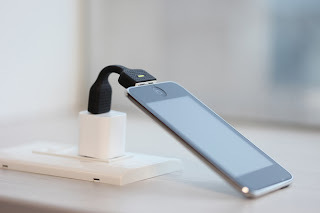 The Bone Link II from Bone Collection is a pocket sized adapter cable which allows you to connect your iPod, iPhone or iPad to any computer USB port or USB charger for practical syncing and charging on the fly. With its durability, small size and flexible design, the Bone Link II offers the perfect solution for charging and syncing your favourite digital accessory whilst travelling, in the office or anywhere a spare USB port is available. Fully compatible with Apple's iPhone, iPod touch, iPod classic, iPod nano & iPod mini, this adapter cable can also be used for trickle charging of the new iPad (Please note that charging your iPad via 5W USB may report no charging on the iPad screen). With dimensions of 26x81x8mm and a weight of 13g, this tiny adapter enables easy, trouble free charging and data synchronisation, but will not add to your baggage or travel weight. The perfect traveller’s companion! Bond: Good morning, gentlemen. ACME pollution inspection. We're cleaning up the world, we thought this was a suitable starting point. Mushkin Enhanced gives you the tools to clean up the world and Q has helped with the packaging with this special edition case to ensure your merchandise get to you safe and sound! The Mushkin Enhanced Redline Series stands in a class by itself. 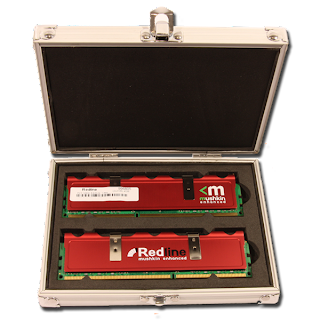 No other memory modules on the face of the globe can compare with the Redline in terms of performance or speed. 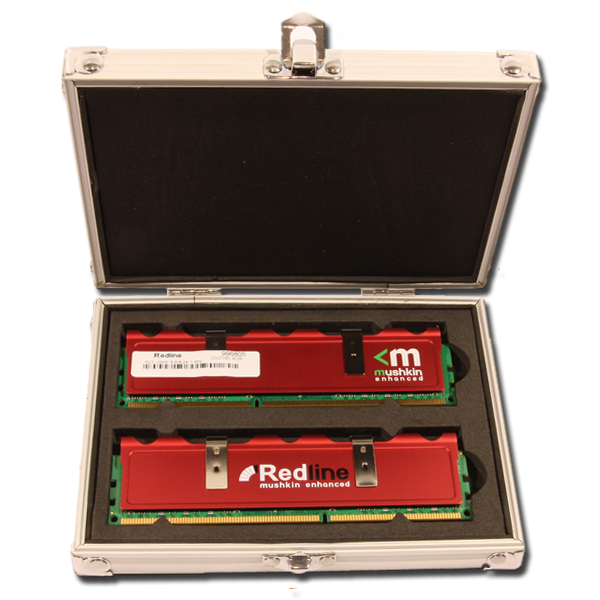 Redline Series modules grace the world's most elite systems; if you want your rig to be world-class as well, just take the Redline. Your Mission: To design an “Australia: Past, present and future” chassis modification based on Thermaltake’s outstanding V9 BlacX Edition mid tower system housing. What do you imagine when you think of Australia? It’s a country with so many different stories. This makes our theme very broad - from a design that honours Australian native fauna, or perhaps a topic like our love of sport, to a futuristic look at where we may be in 20 or 100 years time! If you’re not sure whether your idea fits in with the theme, please email us. The system housing we have chosen to be modded is a state of the art design from world leading high performance chassis manufacturer, Thermaltake. The V9 BlacX Edition features a dual bay docking station on top, a world first, allowing for easy swapping of 3.5” and 2.5” SATA storage drives. Within the all black interior there are tool free mounts for optical drives and PCI devices. This chassis also offers the latest USB3.0 SuperSpeed connector and, like any great case, air flow has been optimised for the latest PC hardware. 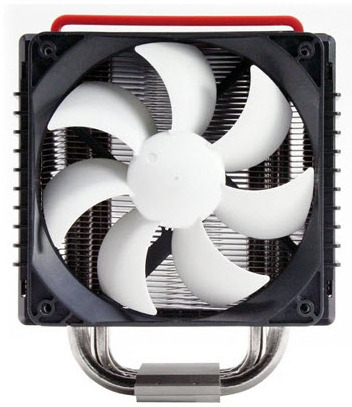 A silent top 23cm fan provides maximum ventilation and the motherboard tray sports a CPU cooler access point to assist aftermarket cooler installations. The inside and the outside and all the grills are black, making it the perfect blank canvas for a mod. 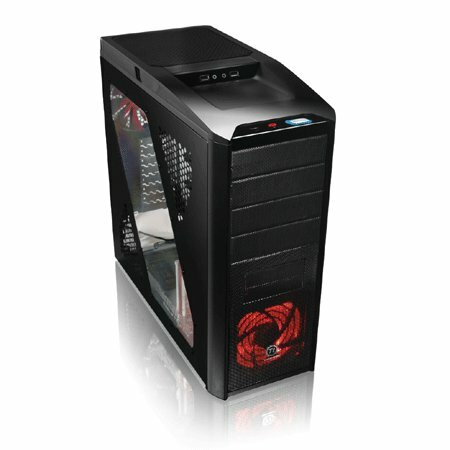 Thermaltake are supplying twenty of these chassis for this competition. For your chance to win one... read on. 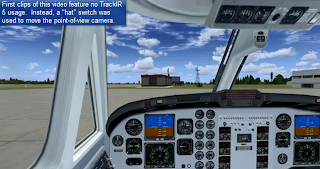 Cessna154 has posted a great comparison video looking into the differences between playing Flight Simulator with the traditional joystick or yoke Point Of View (POV) hat for view changes and NaturalPoint's TrackIR 5. You can check out the video here. There is also a neat formation flying multiplayer vid! Prefer to soar? Check out this gliding video set at Cunderdin Airport, Western Australia showing off this ground breaking input device from NaturalPoint. Want a faster, smoother-running computer? You'll need quality memory. 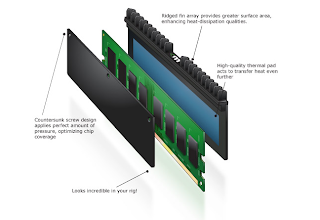 Whose memory modules can you count on? Easy answer: Mushkin Enhanced is the only option when you're looking for the best results. 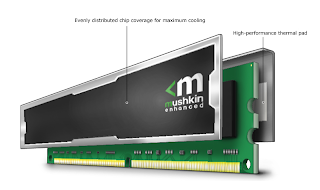 Whether you're looking for an advantage in online gaming, want to rock the world with your music or multimedia productions, or need rock solid performance for your business, Mushlin Enhanced got you covered. Memory products to build a high performance rig for gaming or bandwidth hungry applications. Look great, perform greater. Introducing Ridgeback™, a memory cooling solution that offers no compromises. Designed to deliver serious heat transfer performance in an elegant, low-profile design, Ridgeback delivers both the performance you need and the look you want. Ridgeback's fin array has been carefully engineered to surpass the heat transfer performance of much larger designs. This small footprint improve airflow, keeps your memory modules running cool and clean, and results in a lower total system temperature. Upgrade or build your desktop system to run smoother and more effectively, whatever your use. Get everything your notebook system is capable of with our notebook memory upgrades. Maximize response and speed from your server or workstation system with buffering and error correction features to ensure reliability. 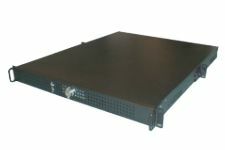 Designed for maxmimum compatibility and performance with Apple systems.